UIDAI CEO Ajay Bhushan Pandey said the verdict, which upheld the constitutional validity of the unique identification document albeit with some modifications, was a victory for the organisation as well as the government. 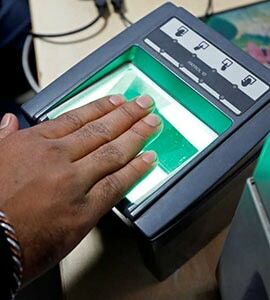 Calling it historic and landmark, the Unique Identification Authority of India (UIDAI) on Wednesday welcomed the Supreme Court judgment on Aadhaar and said the reasonable conditions and restrictions imposed on the private usage of unique identity data would further strengthen it. "Aadhaar has come out winning as the champion of the empowerment of people, especially the marginalised sections of the society and also as the key to the welfare schemes delivery of the government that has eradicated the fakes, duplicates and middlemen," he said. However, some reasonable conditions and restrictions on private usage have been imposed as safeguards that would further strengthen Aadhaar as the unique identity in the service of the people especially the poor, he added. In a landmark judgment, the Supreme Court upheld the legality of Aadhaar but restricting it to the disbursement of social benefits and junking its requirement for cell phones and bank accounts. In a majority judgment, a five-judge bench headed by Chief Justice Dipak Misra held that Aadhaar would be voluntary and not mandatory. The court struck down Section 57 of the Aadhaar Act which allows private entities to demand Aadhaar to access their services. In a statement, UIDAI said the Aadhaar Act had withstood the judicial scrutiny and "the purpose of the Act is legitimate". "Aadhaar as an idea is fully upheld that it does not create a surveillance state and does not violate privacy. The verdict (upholds that) Aadhaar is a tool of empowerment of the marginalised sections of the society. "The apex court also upheld that the Aadhaar Act passed as a money bill is valid. It has further gone on to say that the Aadhaar Act meets the concept of limited government, good governance, and constitutional trust," the statement said. UIDAI said the verdict had recognised that Aadhaar "respects human dignity and does not violate privacy" and that it passes the "balancing tests" collecting only minimal data. "It has been established by the judgment that Aadhaar is not for the state surveillance as profiling is not possible using the minimal data that Aadhaar has. There are sufficient safeguards to disallow any abuse," it said.